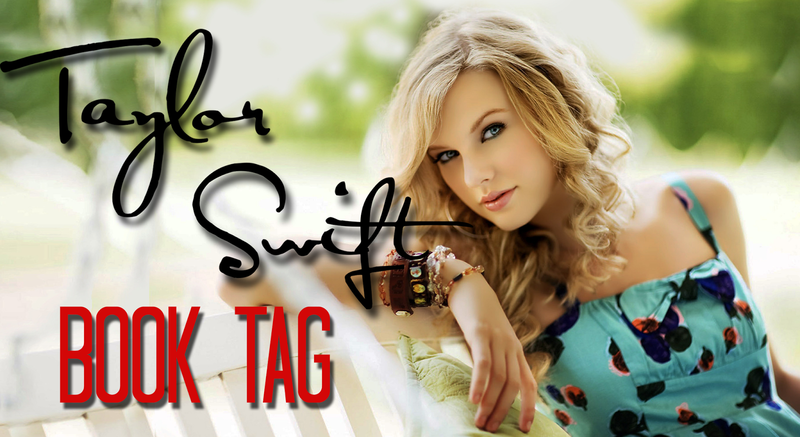 This tag is created by The Book Life and lets me express my love for Taylor Swift through books! The Taylor Swift Book Tag is a fun way to pair book titles to Taylor Swift songs with each song inspiring a set of criteria. I first heard of this from Danielle @ Love At First Page! Also, thanks so much, Danielle, for tagging me! The first nine questions [I didn't do 10] are part of the original tag with the last 7 being my own creations! Feel free to join in if you so choose! I'm so disappointed because I LOVED Burn for Burn. It was the perfect book for me. And then after that, everything seemed to go downhill from there. The second one was ridiculous [even though so many people loved it!] and the last one was just disappointing. Sorry, Burn for Burn, we are never ever getting back together. This is a beautiful cover. Plus, this series will come up again because it ripped out my soul. Divergent was the first ever book to get me into reading YA. Even though the series went down the drain for me, I will never forget what it's done for me. The Program made me so sad and then so happy and then sad again. This isn't a "parents keeping them away" kind of forbidden love. It's on such a grander scale that I can't even say without spoiling. Let's just say that I was so so so so sad for the couple and then I wasn't and then I was again. Anyway, go read this. It's so good! The Darkling is one of my all time favorites. There's something about him that just makes you want to love him but you're supposed to hate him and suddenly, there's a blur in the line. He isn't my favorite book boyfriend [I don't think one can have a favorite, but still!] This book messed with my emotions so much. But to be honest, this one isn't even shocking news. Someone told me what happens in the end, I was like "okay... so?" because it was a year before the movie came out. I still haven't read the book, nor do I plan to. I'm still slightly bitter about not experiencing the ending like others but not enough to send me on rage. I was also spoiled in Harry Potter but that was because I watched the [sixth] movie before the book. The main character in this book is me. Or at least how I felt when I was reading it. This character goes through so much growth and self discovery. Still one of my all time favorites. Simply because it's Kasie West and Kasie West slays all of you. Too bad this isn't for TV Shows because I'd be #Bellarke-ing all over the place. Anyway, Noah and Echo are perfect. I got to meet Katie McGarry, which was one of the best things in my short life. There's just something beautiful about the way these two different people compliment each other. Those who know me, know that I don't really like high fantasy. I don't hate it, but I'm not the type to typically pick one up as a first choice. For me to read one, it either has to be because of hype or recommendation. Cinder was neither. I found it on the shelf, thought it was interesting and I ended up loving it so much. There's so much detail in the world[s]. Yes there are multiple ones, four settings to be specific! I read the first book by accident. So glad I did, though. By the time the last one rolled around, I was pretty much not okay. The ending wasn't bad, but it was an ending. All endings are bad because "I DON'T WANT IT TO END!!!" I'm still not okay. In the dead of night, you can find me crying while hugging my collection. "Gone was any trace of you, I think that I'm finally clean." Well, who would I be without a little bit of snark? I'm so glad this series ended. I mean, there are still like a billion more that she's writing but at least one is over. I didn't really mind this series but I didn't like the last book. It felt really...stale. I got this from the publisher. It wasn't my first choice ARC but I got it anyway and I was like "aw no!" because I didn't really want it. Totally regretted it after because I DEVOURED this book. It's amazing and I really hope to read Dangerous Boys soon! It was too long and not exciting enough for me the first time 'round. Also, I was definitely a starting blogger when I read it. My tastes weren't that good. I'm excited to try it again to see if my tastes have changed since. I had SO much fun doing this! I do feel really basic, though, because I've only read like a hundred and fifty YA books in my lifetime. I know, judge me! So my options for this are really limited. Feel free to use my questions [the last seven are mine, so please credit!] and let me know when it goes live. I'd love to hear what your picks are! Thanks for stopping by my blog :) I haven't read Mara Dyer yet, but I really want to as I think it will be very suspenseful. Divergent is definitely one of my favourite books of all time, and I could re-read it over and over. I am pretty much obsessed with Ansel Elgort too. So fun! Love your additional questions! YES to The Fill In Boyfriend - I want that book BAD. Completely agree about Mara Dyer! The 2nd book is better than the first. Aww! I'm so excited for this. I definitely need to do it myself even though I wasn't officially tagged. (LOL!) I love that you put Divergent on there as your Best Day song. I agree- I reread that book so many times in the beginning and it was because of that one that I got back into reading! And you chose Sloane and James! OMG. I was strung so tight because I was so terrified of what would happen to them! I just recently read the Mara Dyer series and while I enjoyed them, I didn't think they were 5 stars. 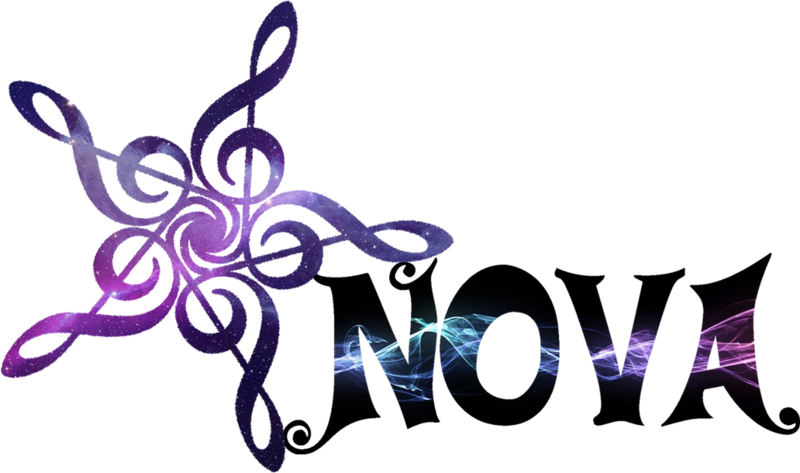 I'm glad you had fun with this Nova! That is such a fun tag! I do think you should give the Mara Dyer series another chance. It gets so much better! GAH TAGS! I LOVE Tags! I'm totally avoiding that Burn For Burn trilogy, just because everyone seemed to be disappointed by book three. And it doesn't really sound like it's for me, tbh. I just don't want to see something that I love crash and burn, you know? DARKLING. OH HOLY. The one character that has stayed with me. And ughhhhh I just wrote the review to Ashes to Ashes. DISAPPOINTMENT. And a lot of people have been telling me that! I want to, soon! I LOVE the questions you added! Such a great idea! The Darkling was a very good choice. I considered him, but knew I had to go with Warner. And I also kind of love that you used #Bellarke as an answer, because I am pretty sure that should be a thing we use all the time now. OKAY. OKAY. OKAY. IMMA DO THIS BC THIS SOUNDS FABULOUS AND TSWIFT IS MY <3 I KNOW PLACES AND WILDEST DREAMS. LOVE LOVE LOVE THOSE. ALSO HOW YOU GET THE GIRL. GAH! This tag is amazing!Tags seem to be really famous around the blogosphere nowadays,huh?Plus I really love Taylor Swift-Swiftie all the way!-and this sounds like fun. Awesome answers to an awesome tag;) I gonna have to do this because I love Taylor Swift (fangirl love mind you;)! 1989 is my favorite, but I love all her albums! I've heard so many good things about Dangerous Girls! The hype is strong that one.